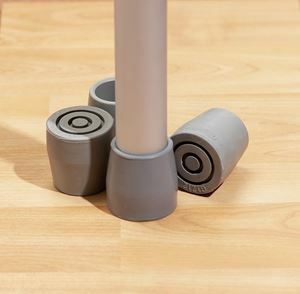 Rubber utility tips by Medline Canada fits most of the bath benches. walkers and commodes. These tips are reinforced with metal washer to increase the durability. Easy to install without the need of tools. Available in 1 1/8" and 3/4".